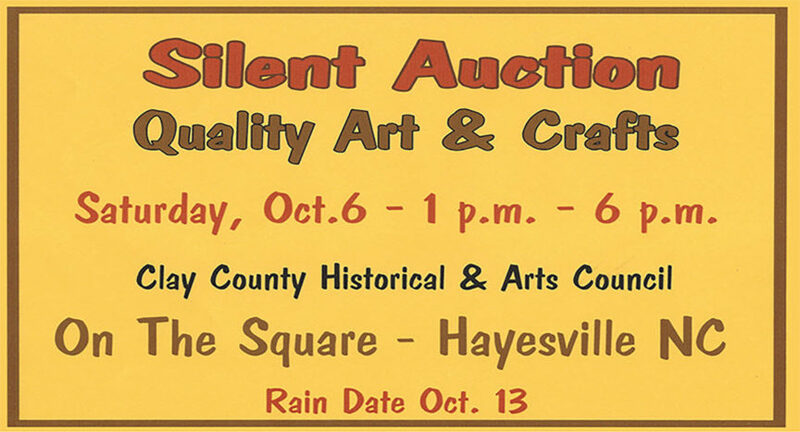 The Clay County Historical & Arts Council is rescheduling its silent auction of quality arts and crafts for Saturday, October 6. It will be held on the square in Hayesville in conjunction with the Steins & Wines. However, you do not have to attend the Steins & Wines event in order to attend the auction. Bidding will begin at 1 p.m. and will end at 6 p.m. You do not have to be present at the end of the bidding in order to win. Winners will be called as soon as bidding ends, and may pick up items immediately or make arrangements to pick them up the next week at the museum. Some items are presently on display at the HHI exhibit next to the Post Office. Take a look at them when you pick up your Steins & Wines ticket. 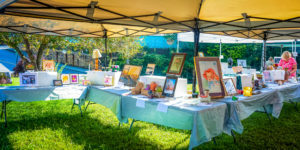 Proceeds from the auction will be used to help fund the many programs which the CCHAC provides for the adults and school children in Clay County. The organization strives to provide many experiences in all of the arts which children may not otherwise have an opportunity to experience. It helps bring you a Songwriter’s Showcase and Concert on the Square each summer. The council provides many interesting looks at Clay County’s history in the Old Jail Museum for everyone to enjoy free of charge. Mark your calendar. See you on the Square in Hayesville, NC between 1pm and 6pm to make those bids. Watch for signs for exact location. Visit https://historichayesvilleinc.com/annual-events/cchac-silent-auction for more information on the auction and on their Steins & Wines event.